Under President Obama, the FBI spied on the president’s political opponents. 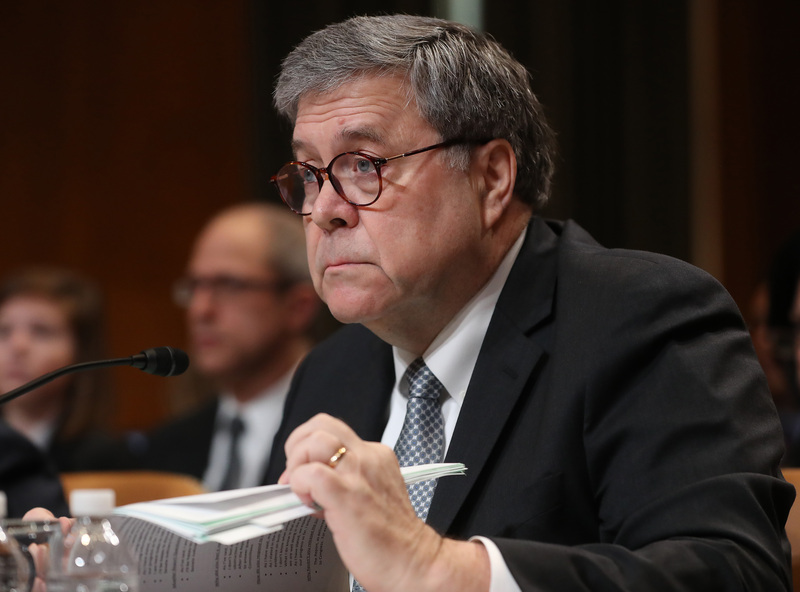 Attorney General William Barr testified that he was concerned about the FBI’s spying on a domestic political campaign. He said “spying on a political campaign is a big deal” and that — as he must — the Attorney General would examine whether such spying was warranted. In fact, the FBI deployed the same spy tactics against Americans working for the Republican presidential campaign that Chinese spies have. The FBI itself admits these tactics are spycraft and has warned Americans against it. In 2014, the FBI published a video about Glenn Duffie Shriver. Mr. Shriver was a 23-year-old American who was recruited by Chinese spies. Chinese spies first enticed Mr. Shriver by paying him 1000 RMB to write a paper about U.S.-Chinese relations. They paid him per essay to write a series of such essays. Mr. Shriver didn’t know his patrons were spies: he thought this was a program to promote trade in China and boost U.S.-Chinese relations. This is a common and clever spy tactic. It simultaneously identifies young people interested in politics, examines their knowledge, flatters their ego, builds rapport with them, creates a financial incentive for their continued cooperation, and can eventually be used to blackmail them. Spies pay such recruits increasing amounts of money for increasing degrees of cooperation. In 2016, the FBI used this same spy tactic against the Republican presidential campaign. Stefan Halper, a college professor now known to be an FBI informant paid by the Department of Defense, approached 29-year-old George Papadopoulos, a member of the 2016 Republican presidential election campaign. Mr. Halper offered George $3,000 to write a “policy paper” on international relations. Then, Mr. Halper met George in London and examined whether George knew anything “about hacking the emails from Russia.” George didn’t. That tip led the FBI to use its counterintelligence powers — i.e. spycraft — against Americans working for the Republican presidential campaign. Then, the FBI sought and obtained a warrant under the Foreign Intelligence Surveillance Act (“FISA”) — not under its domestic law enforcement powers — to monitor Carter Page, another member of the 2016 Republican presidential campaign. When applying for that warrant, the FBI relied on a “salacious and unverified” opposition research dossier produced for the Democratic presidential campaign, without disclosing this fact to the FISA court. After Republicans won the 2016 presidential election, the FBI director infamously exploited a briefing to the president wherein the FBI director described the document’s allegations, knowing that this briefing would create a “news hook” for CNN and other media. That gave media an excuse to discuss the document’s allegations when otherwise these would have been too unreliable to publish. Also after the 2016 presidential election, Joseph Mifsud again reached out to George Papadopoulos via Facebook. George told the FBI about this outreach during a voluntary interview on January 31, 2017, four days after his first voluntary interview with the FBI. The FBI then asked George Papadopoulos whether he would agree to meet with Joseph Mifsud and “wear a wire” on the FBI’s behalf. George rejected the request. Meanwhile, the FBI had set up its own meeting with Joseph Mifsud, interviewing Mr. Mifsud on or about February 8, 2017. The next week, the FBI interviewed George a third time, when George “reiterated his purported willingness to cooperate with the FBl’s investigation.” But instead this interview scared George into deactivating his Facebook account and mobile phone number. Eight months later, George Papadopoulos was indicted for downplaying his interactions with Joseph Mifsud during George’s voluntary FBI interviews. And, since then, Mr. Mifsud’s patrons have given him a new identity and Mr. Mifsud has gone into hiding. Today, the Inspector General at the Department of Justice is investigating whether the FBI’s use of spy tactics against a domestic political campaign via a paid informant, Stefan Halper, was appropriate. Not only did Stefan Halper reach out to George Papadopoulos, but he also helped the FBI target other Americans working for the 2016 Republican presidential campaign, including Michael Flynn and Carter Page. Hopefully — and contrary to appearances — the FBI’s conduct was lawful and appropriate. But media celebrities are mongering fake news when they deny that President Obama’s FBI was “spying” on the Republican presidential campaign.